Buy Just Add Magic: Book One today! The original JUST ADD MAGIC book was always written to be part of the story. I was so happy that eight years after its publication to be able to finally tell readers the rest of the story and tie up all the loose ends. 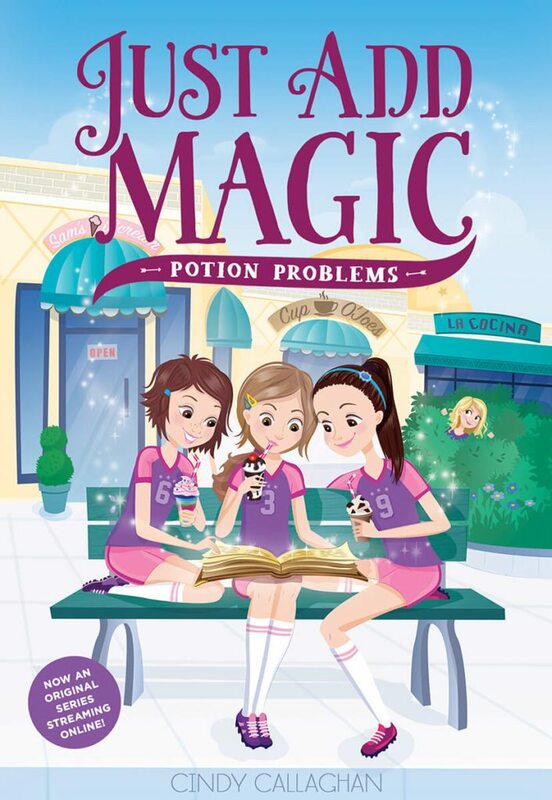 In POTION PROBLEMS the whole gang is back together: Kelly, Darbie, Hannah, the cute Rusamano twins, Charlotte, Senora Perez, Mrs. Silvers and of course the Felice Foudini. And we’re introduced to a few new friends including Evan and the quirky Aunt Aggie. Readers learn the origin of the secret recipe book and why Kelly is so special. The friends leave Wilmington, Delaware and travel to Salem, Mass to find out where the story began. Trivia: Felice Foudini was inspired by one of my TV faces, Rachael Ray.